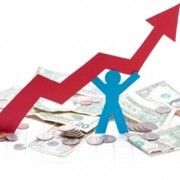 NEW YORK, Jan. 30, 2014 /PRNewswire/ – More technology professionals in the U.S. enjoyed merit raises over the last year, driving average salaries up in 2013. Average U.S. tech salaries increased nearly three percent to $87,811 in 2013, up from $85,619 the previous year, according to the 2014-2013 Salary Survey from Dice, the leading career site for technology and engineering professionals. Most of the top ten markets enjoyed year-over-year salary increases at or above the national average, including Los Angeles ($95,815, up 4%), New York ($93,915, up 5%), Denver ($93,195, up 3%),Philadelphia ($92,138, up 8%), and Austin ($91,994, up 3%).